Please note that the gym will be closed all day on Saturday 20 April 2019 to allow for the completion of plastering of the ceiling following work in the loft space. We apologise for any inconvenience. This entry was posted in Uncategorized on March 24, 2019 by Gill Chilvers. During May and June 2018, there will be a qualified fitness instructor available one evening a week in the gym at the RTC. • avoid ‘plateau’ and keep on making progress. The membership numbers of everyone that attends the gym during May and June will go in to a draw. 3 lucky winners can choose between a free one to one personal training session with Jack or one-month free membership of the gym. So don’t forget to sign in and include your membership number when you do! This entry was posted in Uncategorized on April 14, 2018 by Gill Chilvers. The opening membership special offer, join now and get the rest of February free expires at Midnight on Thursday 12th February. To take advantage of this you must sign up to pay by paypal or debit / credit card through the membership options page of the website. Register your payment details before midnight Thursday and your first payment will not be taken until the first week in March. Anyone who registers their payment details after Thursday will be charged their first payment immediately. Over 40 people have signed up on the website to take advantage of the offer, if you aren't one of them make sure you take action quickly so you don't miss out. There are still quite a few people who went through the induction process on Saturday but haven't registered their details on the website. If you are one of these, don't delay, we can't extend the opening offer beyond Thursday evening. This entry was posted in Uncategorized on February 11, 2015 by Adminrtc. Thanks to everyone for coming along to the Gym opening on Saturday. The level of interest exceeded everyone's best estimates. As of 9am Today (9th February) we can accept Debit and Credit Cards. If you want to use this method to pay rather than paypal go to the membership options page. Follow this link to join the Gym now. This entry was posted in Uncategorized on February 9, 2015 by Adminrtc. On Saturday 7th February Otterburn Gym formally opens its doors. There will be a launch event at the RTC Sports Centre from 4pm to 8pm open to all. There will be food available and the bar will be open. Please come along, take a look at the new gym and the equipment we have on offer and join us for some curry and a beer. During this time there will be opportunity for the first members to go through the induction process. Further induction sessions are planned for the following week so don't worry if you can't make it. Anyone who has already expressed an interest in joining the gym will receive an email in the next 24 hours explaining the membership process in detail, and from that point we will open the membership page on the website where you can formally apply for membership. 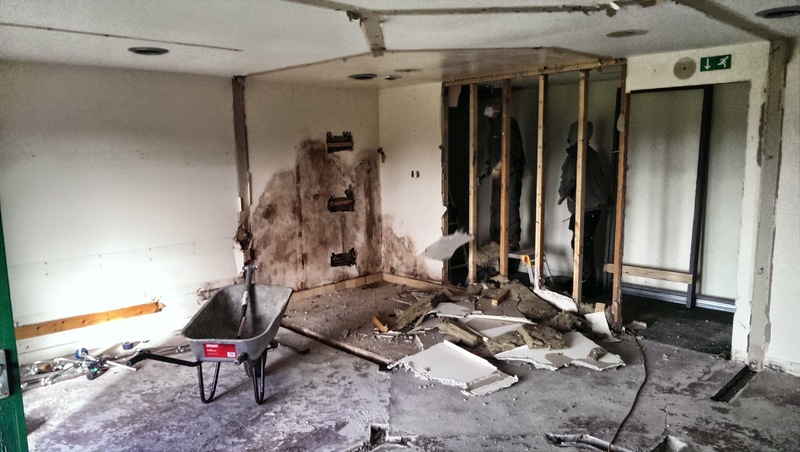 This entry was posted in Uncategorized on February 3, 2015 by Adminrtc. 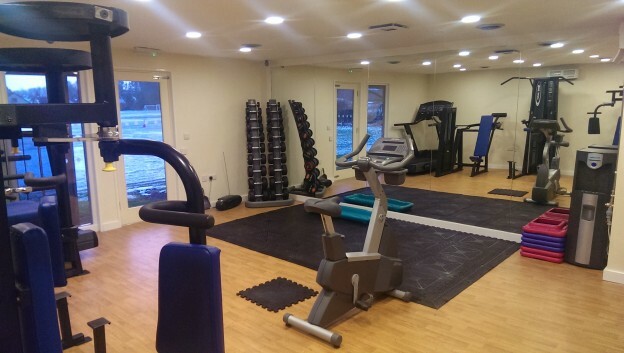 There have been some delays, but finally we have the opening of Otterburn Gym in our sights. 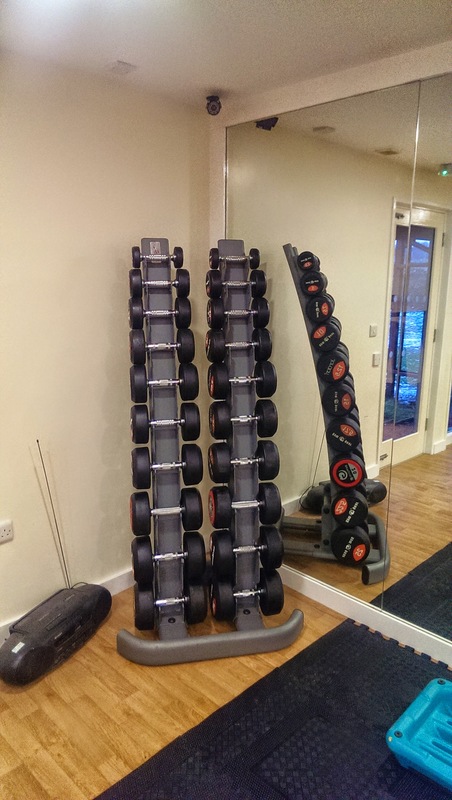 The first items of equipment arrived yesterday and we are nearly ready to open the doors. All being well, the gym will be open in the first week of February, and we have agreed a membership cost of £15 per month or if paid in advance £150 annually. 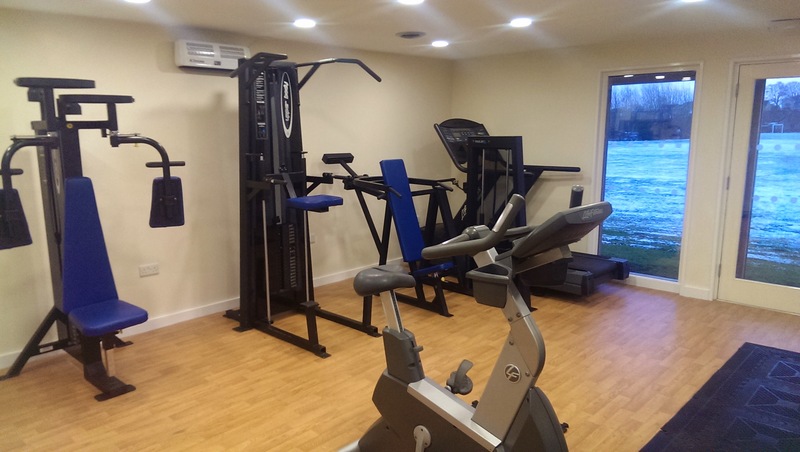 Cross trainer and rowing machine are still waiting delivery, but I'm sure you will agree that the Gym is starting to look good. This entry was posted in Uncategorized on January 21, 2015 by Adminrtc. Work on the new gym started on Monday 13 October. We are hopeful that construction work will be complete inside 3 weeks, once that has happened the empty gym can be fitted with equipment and opened. Once we have a firm opening date monthly and annual gym memberships will be available. This entry was posted in Uncategorized on October 14, 2014 by Adminrtc. This entry was posted in Uncategorized on September 9, 2014 by Adminrtc.